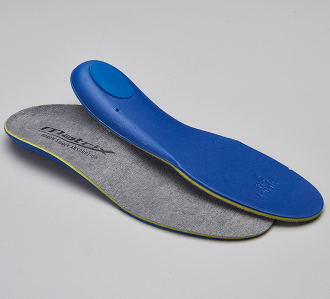 Jackson Matrix Poron Insole Footbed System. Matrix Poron Footbed System is made especially for figure skates with the correct heel pitch. Poron construction with "no stick" covering provides superior shock absoption. Molds and shapes around the foot using body heat, preventing movement for better stability. Available in sizes 3 - 14.5, Full & half sizes.